Step 1: To begin your meditation , find a place that is peaceful and serene. Absence of noise and pollution is extremely vital for you practice your meditation. Ensure that nobody will interrupt you. Remember, even five minutes of meditation is beneficial. Step 2: Sit upright and keep your spine straight for as long as you are comforabale, while not exerting any pressure on your body. You can either opt to sit on a bed or on a cushion on the floor or perhaps on a chair. The standard position for meditation is crossing the legs, however if that’s uncomfortable, choose to sit with your legs stretched or find a position that provides you the most comfort with relaxation. The effectiveness of the meditation technique epends entirely upon the level of comfort, so not to cause you any additional distraction. Step 3: Start visualizing a particular object in your mind. Visualize as much detail as you can in terms of form, color, and texture. In doing so, you’ll begin to feel relaxed and calm. If the image doesn’t come naturally, don’t push yourself into thinking, what your mind isn’t comfortable with. You’ll begin with simply concentrating on one thing and step by step build into visualizing the object as best as you can. Step4: In the beginning you may find that your thoughts drift easily away. 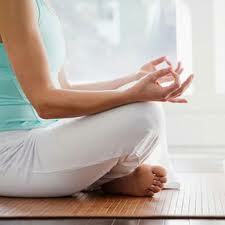 That is okay, developing a mindfulness during the early stages of your meditation practice is a great goal to attain. When you realise that you have left the mental thought of focusing on the object, return your thoughts back to your breathing, focusing intently on deep breaths in and out. When you feel ready return your focus back to the object you were visualizing. Awareness in what you have done and corrected is a great step when beginning your meditation experience. Step 5: Try to extend your breathing pattern and observe your lungs expanding with long, deep breaths in and deliberate and slow exhalation. This may help you make sure that your mind is focused. Despite which meditation technique you have selected, refer to the steps above and keep going until such time that this technique becomes second nature to you. Remember like any exercise you do, at first there is effort required and creating a routine which you will embrace this on a daily basis is a great start. Once you have made a decision to include meditation in your life, schedule this time into your daily planner, make it a priority. You will find over time that your day will not feel complete unless you spent some time in peaceful meditation.